Just one pic … but like the cliché goes, it speaks a 1000 words. 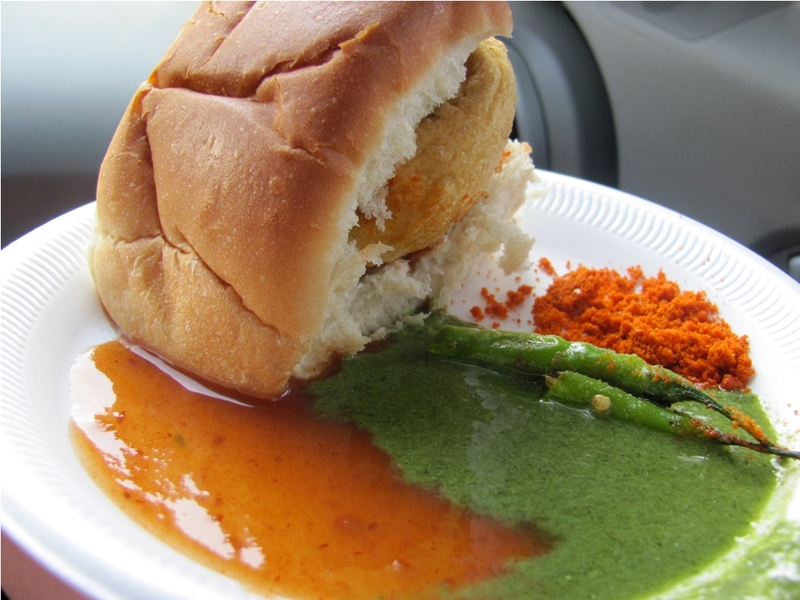 I really love their vada pav and their accompanying chutneys are wonderfully spicy. A thumbs-up for value (this plate costs Dhs 4!!!) and if you like spicy food, dip away in those chutneys for sure. Happy tadka-ing!